That might be good if you don´t know the lawyer, but once you form a relationship with an attorney you can trust, there is no need for that. Research investment opportunities before you buy. Developers everywhere advertise incredible investment opportunities. 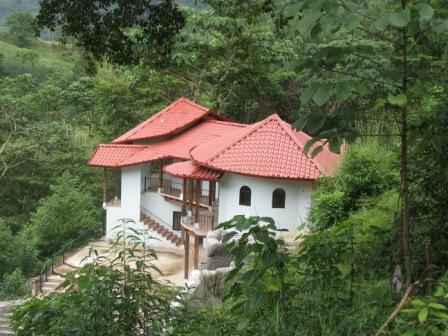 Costa Rica is not that much different from other attractive hot real estate markets. However, when you factor in the cultural misunderstandings and lack of consumer protection regulations folks can be taken advantage of. I have lived and worked in the land development and construction business here since 1992, and I understand land and finished construction values very well. With all the new players entering the market, come new tricks that misrepresent properties and deceive would be investors. Those of us who have lived and worked here for many years do not enjoy reading about consumers who write about the deceiving developers that sold them land in would-be projects that never happen. We see what is happening to the new kids on the block but we cannot help them because they leave their brains in baggage claim and do not seek advice from experienced sources. Knowledge acquired from real estate investing in other countries does not necessarily work down here in the jungle. I have been an investor, builder and developer here for 15 years. To this day, I approach every deal as if it were my last hundred bucks. Property values and opportunities are available here but finding a successful investment property is not as easy as many of the fancy websites lead novices to believe. Fortunately, ARCR is able to help many potential residents and investors sort the market out before they get into a deal that ruins their dreams of living in paradise. If you still think the real estate market here is hot, you are in the jungle. In 2004, I purchased a piece of land -------. I come to sell it and find out I can't because they never titled my land. How is this possible? Drawings, plans and blue prints that are not up to international standards. Highly inflated marked up prices for soil tests, permits, added to your bill. Originally quoted per square foot building costs suddenly sky rocketing. Prices for retaining walls, swimming pools or foundations out of all proportions suddenly added to the over all cost. Delay after delay in starting or finishing the project. Any title issues we have had were due to things like an incorrect scale on our drawings submitted to MINAE or other "clerical" issues, though it does take time to get title issued to a "new development"
Bob C has been a trusted member of this board for as long as I have been around. I don't always agree with him on everything, but I would never questions his integrity. I have never, not once, felt like he has posted anything on this board out of self-interest. From what I can tell, he has no dog in this hunt and he should not be discredited because of his profession. Of all the realtors that have visited this board (there have been many), he is on a short list of 2 that I know of that have been legitimate contributors and have not used this board as a platform for marketing their services. You may disagree with him and you may be able to educate him with some new information, but you aren't going to accomplish much on this board by challenging the integrity of his intentions. Just my 2 cents for what it is worth. I second what Kahuna has to say. All I have seen from him is his point of view, to which, the last time I checked, we are all still entitled. Personally, I can only speak for myself, and the last place I would want to choose my way of life is from some kind of trade show. And, forgive me, just my humble opinion here, -------. -------. there is bound to be some who are unhappy. Unfortunately the happy ones are not cruising the boards and forums looking to tell the world how happy they are. -------. -------. all we do here in Costa Rica is try to help folks come out ahead and you know that is difficult as you have eluded to some of the "shortcut" pitfalls in describing your own services - again, -------. I have to say I couldn't agree with Bob more. I have personally met GB and can say he is a stand up guy. He has no hidden agenda and looks out for everyone's best interests. As developers, the responsibility lies with them to get the job done of making sure that all is legal, recorded, etc. So many people that come to CR think that the purchasing process is similar to their home town, not realizing that things are not 'perfect' in the land of Pura Vida. Remember to ask questions, ask a lot of them, to the developers, your Realtor and your attorney. An honest developer will not have any issues in quickly answering any and all questions of a potential buyer. good afternoon Becky - if I may add a little to your post, I want all to know there is not a thing wrong with selling % shares of a developer project and if that is what you are about, just say that plain and clear - if we are selling shares we don't call them "Affordable Ocean and Mountain View Homesites - From 55k " because as you are well aware, those lots can NOT be built on unless and until the catastro and escritura are in order and transferred title to the owner/builder, -------. What a thread. I have no idea who these people are, but one has to call a spade a spade. Let's be clear. Titles for the entire country are transfered through the central property registry in San Jose, whether you -------. half price property available to foreign investors tolerant of a bit more risk. Personally, less than 5% of my foreign customers are willing to touch it. J is correct. There is a very common land status here called "informacion Possesoria" Land that was granted to individuals by the government with the expectation that they title it within a given window of time. If the land owner did not title it then the land is status "informacion Possesoria" The land can be titled but it is a long, VERY COMPLEX process,, IF EVERYTHING WORKS PERFECTLY. If one component of the process does not work out (owner of a nieghboring property is dead or can not be located) THIS PROCESS CAN TAKE 10's OF YEARS WITH NO GUARANTEE THAT TITLE WILL BE GRANTED. If your developed property does not have a transferrable title.....run for the hills.